Mutual fund houses can launch only a single scheme under each category. However, this rule will not hold good for funds-of-funds with varied underlying schemes, exchange-traded funds tracking varied indices and thematic and sectoral funds with investments in varied sectors. SEBI issued new guidelines on October 6, 2017 whereby mutual funds would be grouped under five categories and every fund house could have only a single fund from each category. In view of the fact that 830 schemes comprising of 317 open-ended schemes existed currently, SEBI’s guidelines of one-scheme-per category can be considered quite revolutionary. 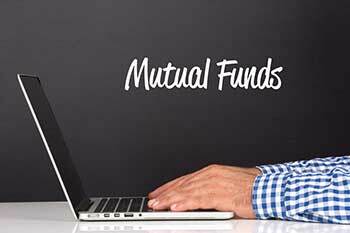 Mutual fund houses can launch only a single scheme under each category. However, this rule will not hold good for funds-of-funds with varied underlying schemes, exchange-traded funds tracking varied indices and thematic and sectoral funds with investments in varied sectors. Though SEBI has restricted the categorization to five groups it has allowed for the existence of sub-groups under each category. SEBI’s consolidation guidelines will have some impact on the existing portfolio of investors. If you have invested in 12 schemes then they may get reduced to 8 or 9. If you have invested in schemes of a specific asset management company then they may get reviewed and reduced. For example, HDFC Equity Fund and HDFC Top 200 can get consolidated. Another example to quote will be of SBI Magnum Midcap, SBI Emerging Businesses which may get merged into one and so on. How much of this is given effect to in reality will, however, have to be seen. It is still a wait and watch scenario. The fact remains that this will facilitate making a like-to-like comparison between the mutual funds. Life is definitely going to be much easier for the investor who can choose the right mutual fund to suit his requirements without much hassle.